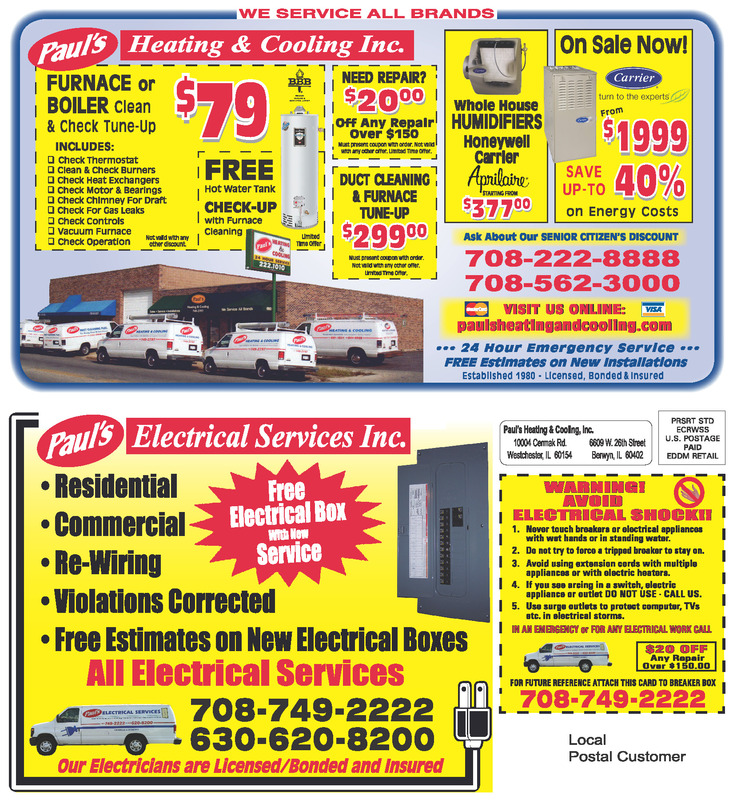 Welcome to Paul's Heating & Cooling. We established our company more than three decades ago to provide families with heating and air conditioning solutions to fit their lifestyle and their pocketbook. 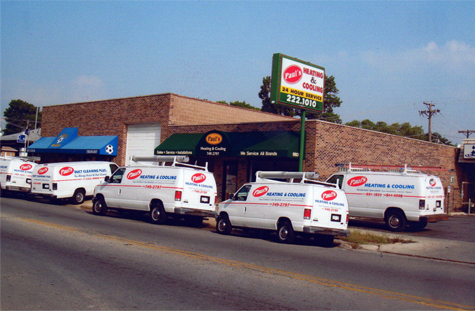 We continue to provide heating installation and heating repair to homeowners and businesses in La Grange, Westchester, Western Springs, Oak Park and other surrounding areas with the same commitment to quality and value. We provide expert installation, maintenance and heating repair for all types of equipment. Our well trained and skilled team of professional technicians offers boiler repair, furnace repair, maintenance, replacement equipment and heating installation for new equipment. We offer emergency repair service 24 hours a day, 7 days a week. At Paul's Heating & Cooling, we have an extensive inventory of parts and equipment to quickly provide the repairs you need. Our fleet of trucks is well stocked with parts for heating repair and we have a large warehouse to provide the equipment needed for residential and commercial heating repair for all types of equipment. If you need a new system, we have a wide range of energy efficient equipment for heating, cooling and indoor air quality. Please browse our website to learn more about our new furnace repair, boiler repair, and other residential and commercial heating and cooling services. We stand behind the quality of our work with a one year guarantee. If you need service at your home or business in La Grange, Westchester, Western Springs or Oak Park, call Paul's Heating & Cooling today at 708-222-8888 for more information or a free estimate. ©Paul's Heating & Cooling, Inc. 2017 All rights Reserved.